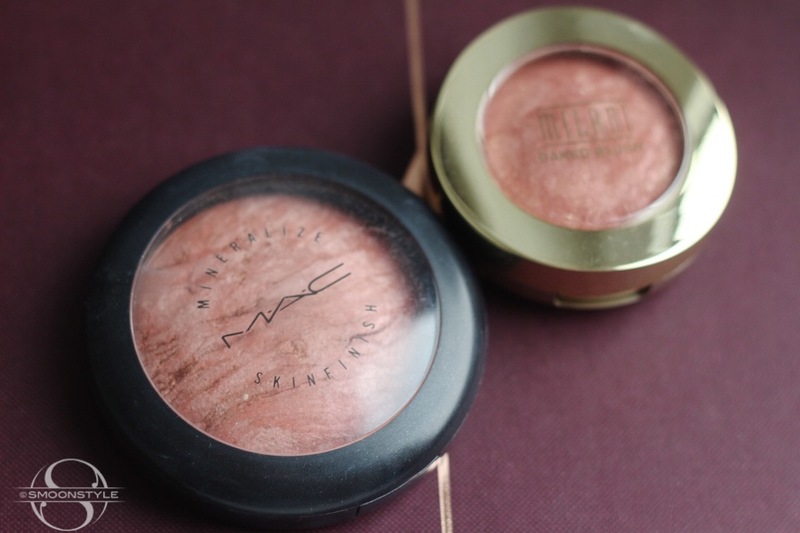 One of MAC all time hyped Mineralize Skin Finish would be 'Stereo Rose'. It was a limited edition item that had been released in 2012 and re-released in 2014. However, the version that came out in 2014 was quite different from the 2012 edition. I own the first edition and can tell the Stereo Rose lovers out there that I found a pretty close dupe of this beauty. 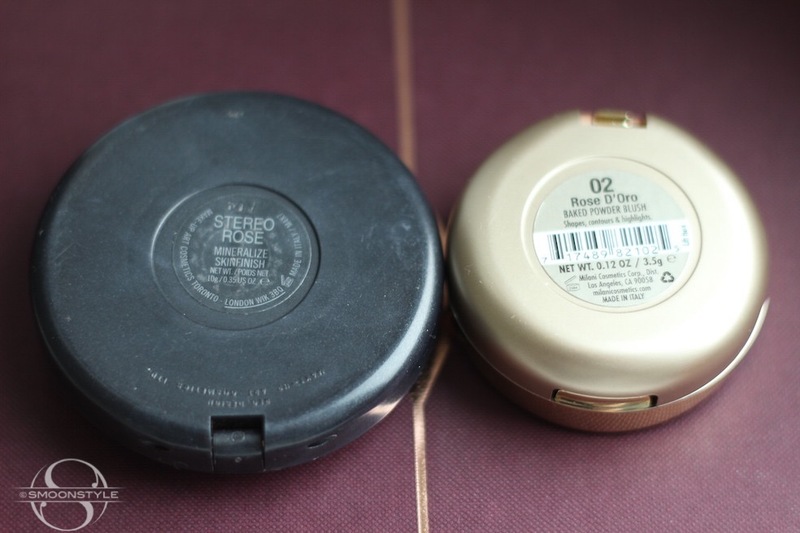 It is a mineralize baked blush from Milani called Rose D'Oro 02. 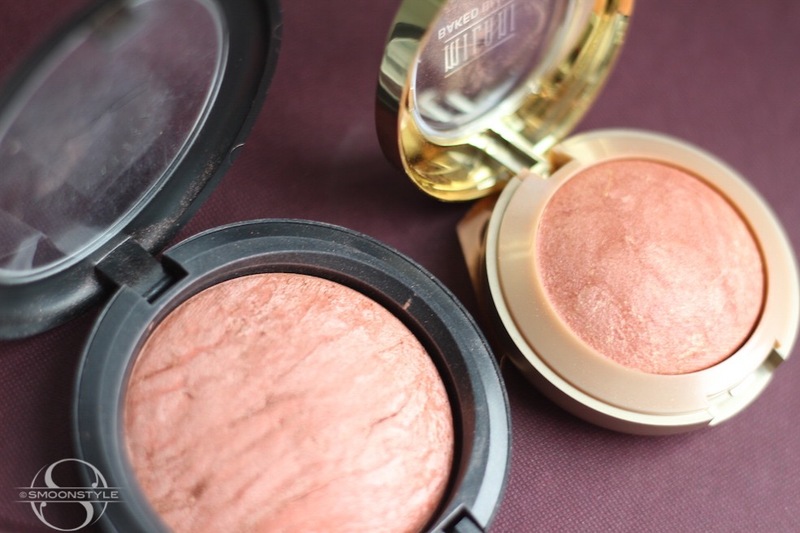 After my Luminoso Affair, I wanted to get to know more Milani blushes. Rose D'Oro and Bella Rossa are now part of my blush collection. When I swatched Rose D'Oro, I grabbed Stereo Rose to swatch them side by side. With all of MAC's MSF's I have to say that each and every one of them are unique. They all have a slightly different structure of veins flowing through them. I have a feeling that this also goes for this baked blush from Milani. Applied on the cheeks they both look almost identical. 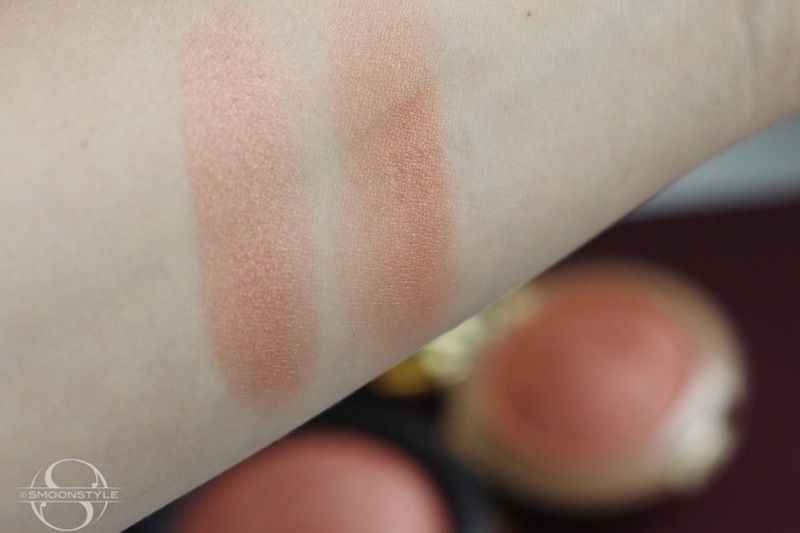 Swatched on my arm, Rose D'Oro looks a bit more bronze than Stereo Rose. All in all I am happy that I found a close dupe to a very popular product, and that also for a fraction of the price. I got my Milani blush on Amazon.de, but I'm sure that Ebay can also help you out. Have any of you found a good dupe for hyped products? 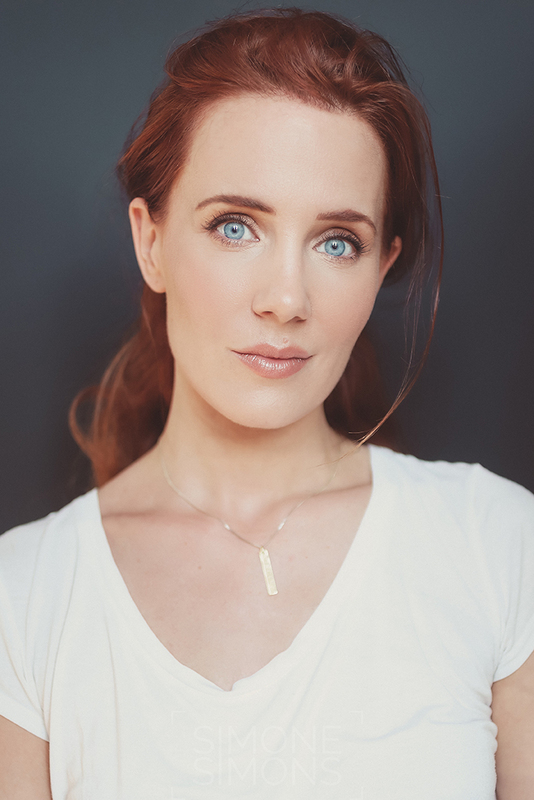 Inglot has a more affordable and imo a better dupe for Brule. The shadow 355 is almost identical to brule that is shown on the left at the picture. If there is any difference, brule could be slightly more pink, but I don't know.. I find brule a bit hard to apply on and there for I use a finger to get more colour, but inglot 355 doesent have this problem. It's like rich silk.